2 Bedroom Terraced House For Sale in Potters Bar for £350,000. Rarely available, an attractive and beautifully presented two bedroom mid terraced family home situated in this desirable quiet residential courtyard surrounded by beautiful communal gardens and open space. The accommodation comprises a spacious and bright lounge area, fitted kitchen two double bedrooms and a three piece bathroom suite. 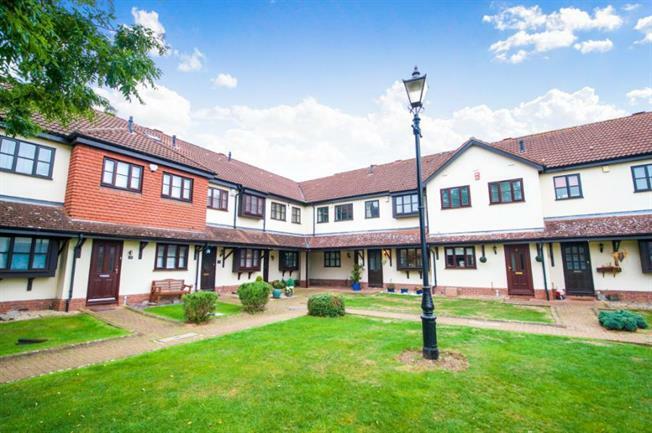 The property is easily connected to Potters Bar High Street where you can find a variety of local shops and Potters Bar mainline station situated in Darkes Lane and has fast and frequent services to Kings Cross and Moorgate. Alternatively, M25 and A1(M) motorway junctions are close by.